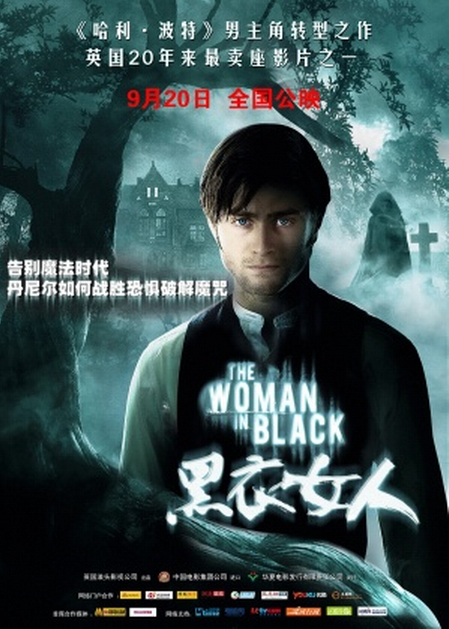 Harry Potter’s Daniel Radcliffe couldn’t bring his magic to the China debut of his horror vehicle The Woman in Black, and two new Chinese language releases—Great Rescue and That Year School Ended—failed to connect as China’s box office take slipped last week to $29 million, its lowest level since March. Although the last four Harry Potter films were solid hits in China, that franchise’s popularity failed to carry over to Woman in Black, which suffered one of the year’s worst openings for an English language film, with $1.45 million in receipts over its first four days. Among 2012’s nearly 50 English language releases so far, only The Lincoln Lawyer, The King’s Speech, A Man Apart and Ninja have fared worse. Horror still hasn’t firmly established itself as a reliable genre in China. A few modest Chinese language successes like Bunshinsaba ($9.5 million total), Blood Stained Shoes ($7.2 million), and 2011’s Mysterious Island ($14 million), have been outnumbered by flops. It may be that Chinese audiences haven’t yet caught on to the pleasures of a good scary movie, but it’s more likely that the problem lies in China’s censorship strictures, which don’t allow much room for a true horror film, with blood, gore, torture, ghosts, demons, and “excessively terrifying scenes” all strictly prohibited. On a brighter note for Chinese filmmakers, White Deer Plain out-grossed The Expendables 2 to take the week’s number one spot, the first time in a month that a Chinese film has taken that honor. Prometheus, The Dark Knight Rises, and the Amazing Spider-Man, all nearing the end of their PRC runs, rounded out the rest of the top five. Business should be brisk next week as six new Chinese films and the U.S.-China co-pro Looper will open just ahead of October’s Golden Week holiday. Look for the Stephen Fung steampunk comedy Taichi 0 to lead the pack, with China’s divas Zhang Ziyi in Dangerous Liaisons and Fan Bingbing in Double Xposure giving Taichi 0 some serious competition, especially with their female audience appeal. Although Looper’s Bruce Willis and Joseph Gordon-Levitt don’t have major fanbases in China, that movie’s genre, action-SciFi, tends to over-perform in China, so don’t count it out. This entry was posted in Box Office Reports and tagged A Man Apart, Amazing Spider-Man, Bruce Willis, Dangerous Liaisons, Daniel Radcliffe, Dark Knight Rises, Double Xposure, Fan Bingbing, female audience, Jet Li, Joseph Gordon-Levitt, King's Speech, Lincoln Lawyer, Looper, Ninja, Prometheus, Taichi 0, White Deer Plain, Woman in Black, Zhang Ziyi by chinafilmbiz. Bookmark the permalink. One interesting tidbit on “Looper” is that two different versions of the film will be cut: one for America and another for China. Apparently there were some scenes set in Shanghai that dragged on the overall pace of the film. But the Chinese financiers didn’t care about pace and wanted those scenes in the film. Looper’s Chinese scenes were shot in order to qualify the film as an official Chinese co-production. American test audiences didn’t like the scenes and so they were cut from the non-Chinese release, much to the consternation of the Chinese film authorities who approved the co-pro.